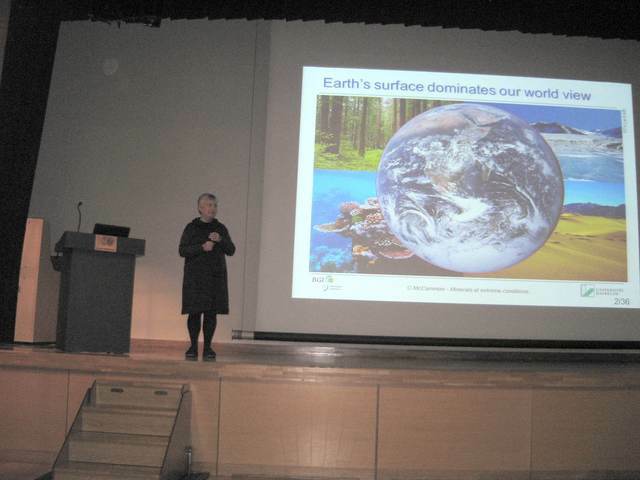 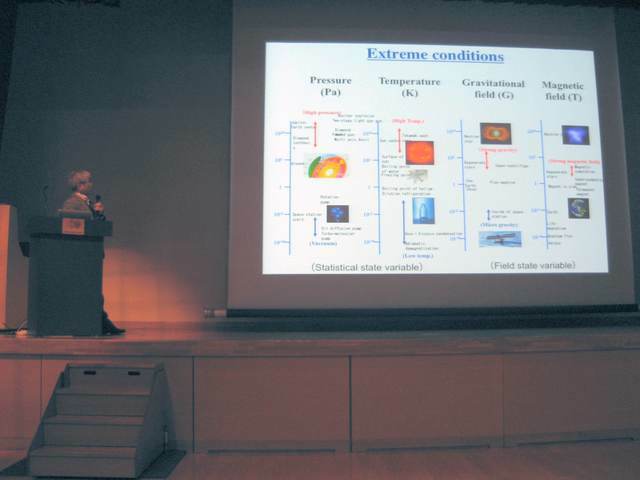 Catherine McCammon on 'Probing the electronic structure and properties of minerals at extreme conditions using synchrotron radiation'. 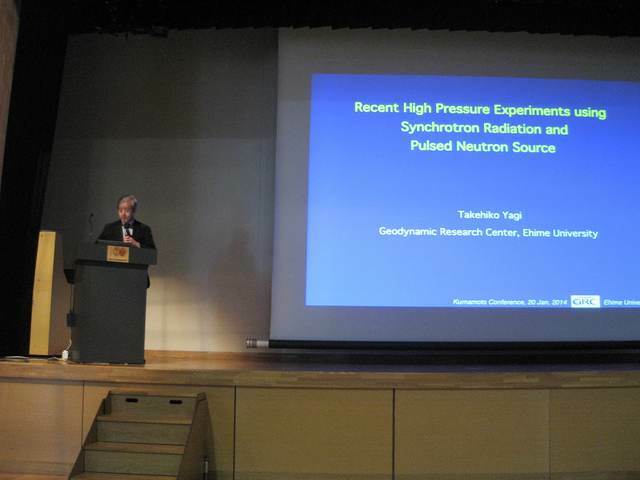 Takehiko Yagi on 'Recent High Pressure experiments using Synchrotron Radiation and Pulsed Neutron Source'. 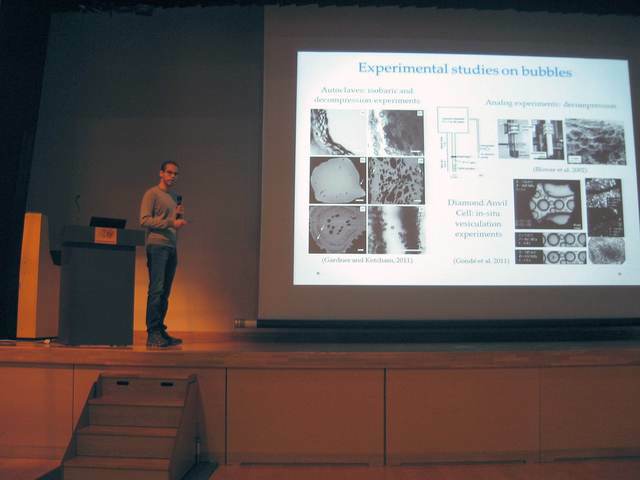 Matteo Masotta on 'Bubble growth, eruption dynamics and sulphur release in volcanoes'. 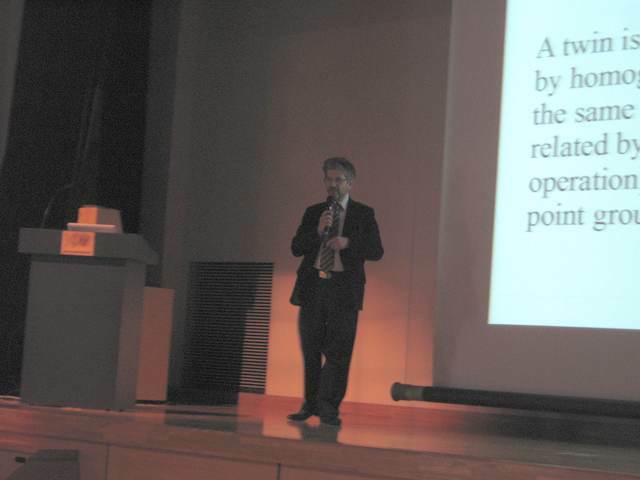 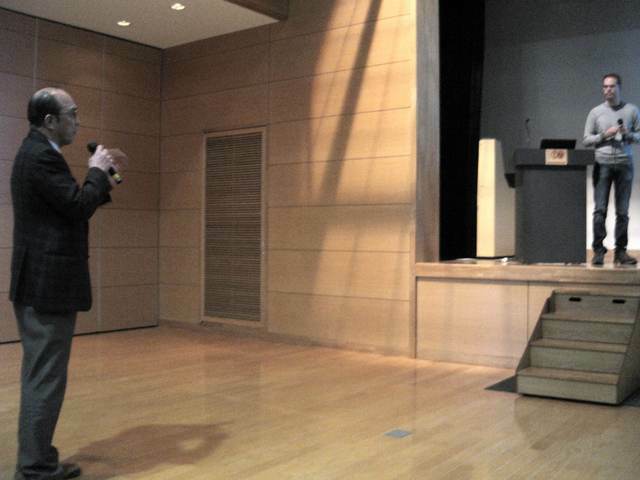 Tadao Nishiyama questioning Matteo Masotta. 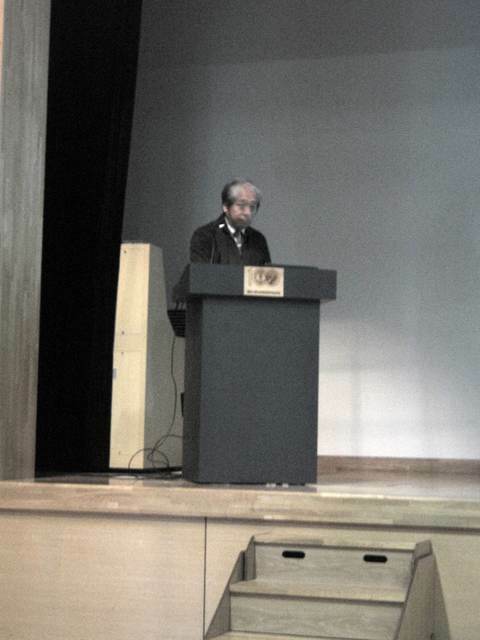 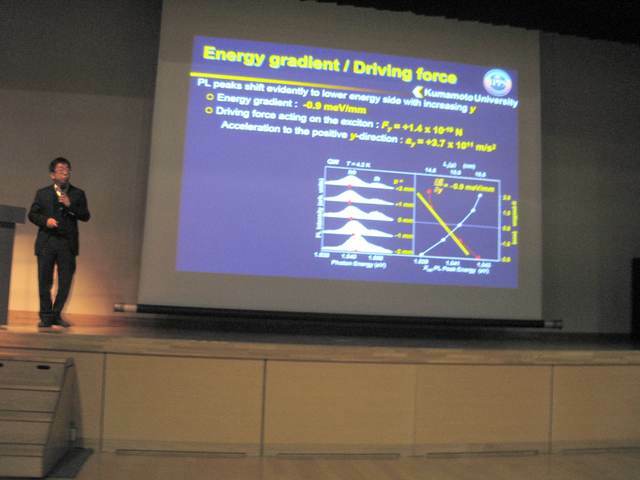 Tsutomu Mashimo on 'New materials processing under strong gravitational field'. 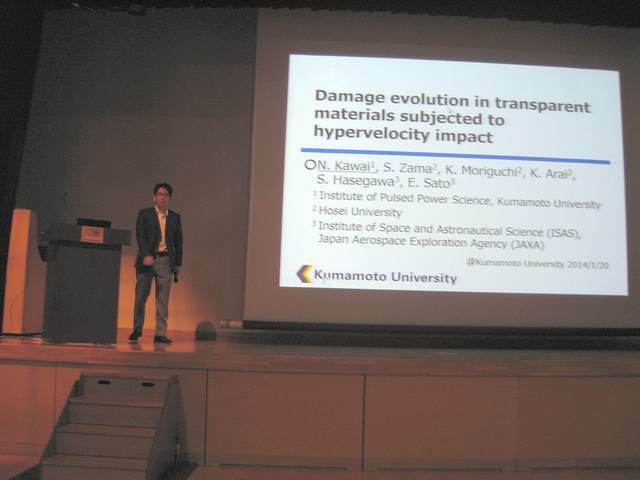 Nobuhiko Kawai on 'Damage evolution in transparent materials subjected to hypervelocity impact'. 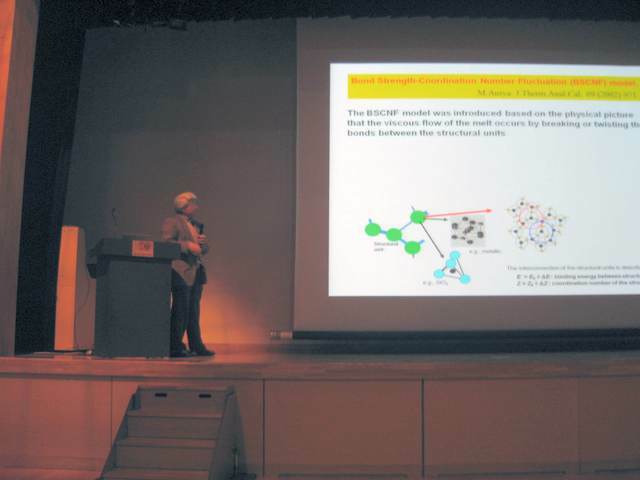 Akira Yoshiasa on 'Detail structure characterization of advanced material and melt using synchrotron radiation under high-pressure and high-temperature'. 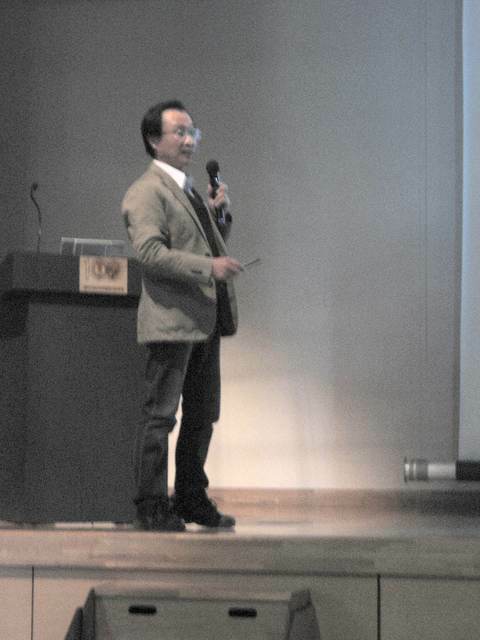 Masaru Aniya on 'Fragility and cooperativity of metallic glass forming liquids'. 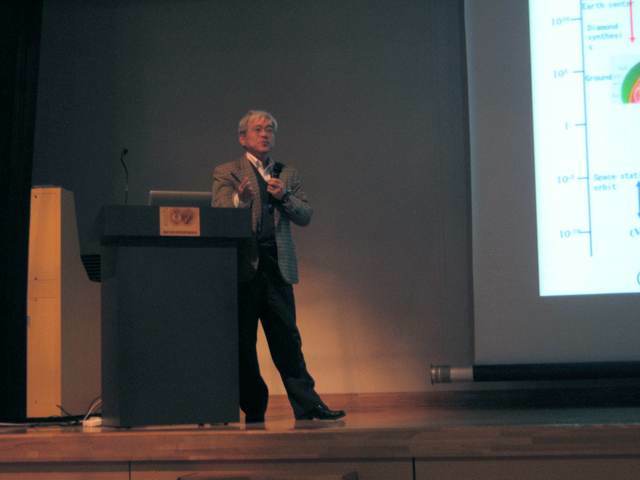 Ichiro Akai on 'Diffusion of high density excitons in Lz-gradient quantum well'. 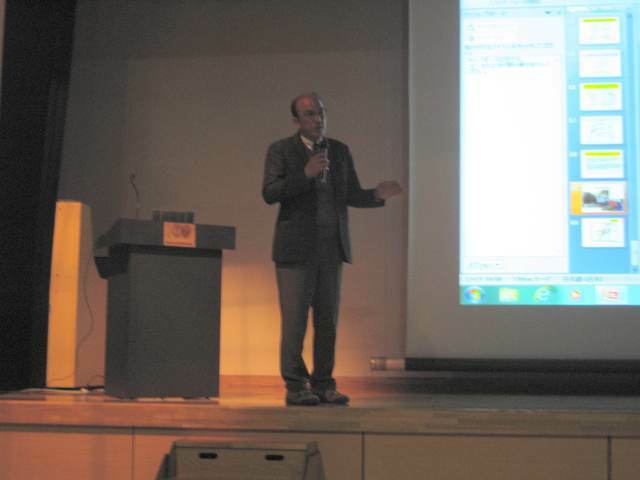 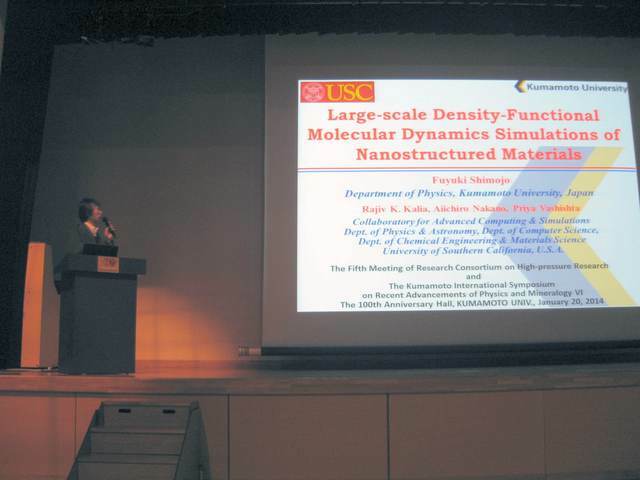 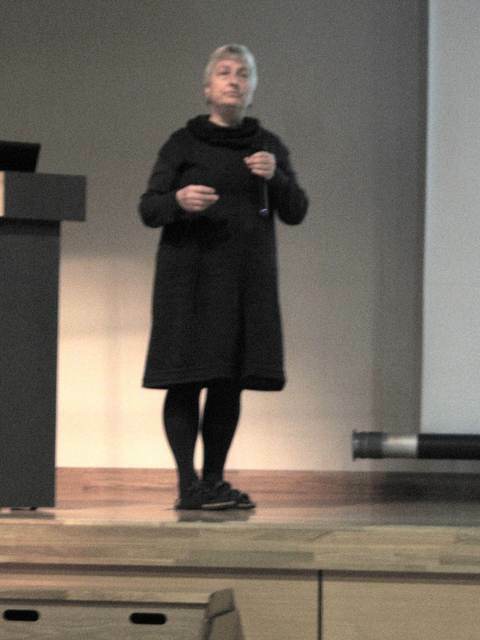 Fuyuki Shimojyo on 'Large-scale Density-Functional Molecular Dynamics Simulations of Nanostructured Materials'. 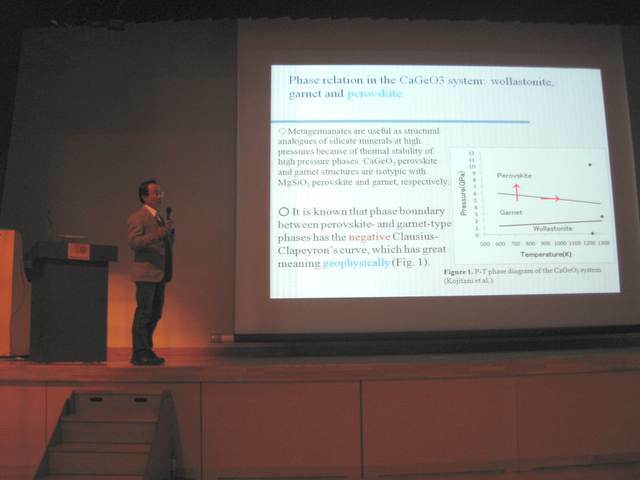 Tadao Nishiyama on 'New finding of ultra-high pressure chromitite from the Higo Metamorphic Rocks, Central Kyushu, Japan, and its implication'.